One off's, small runs and custom machining! 2229 Piston dishing for the 4.6L stroker with 4.2L rods. Available up to 30cc dish. Send your Silvolite 2229's or equivelent in to be dished up to 30cc's for $130/set. 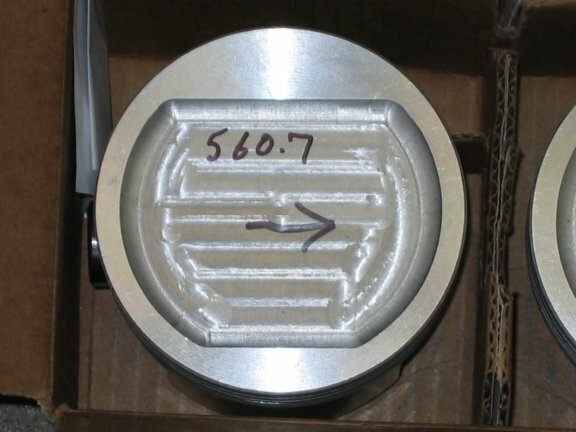 Other piston models may be possible, contact me to discuss it. Note-The popular KB944's already have a minimum crown thickness and can't be dished any larger. For the popular 4.6L Low-buck, low CR "rock crawler" and the slightly higher CR variant(thanks Dino!). 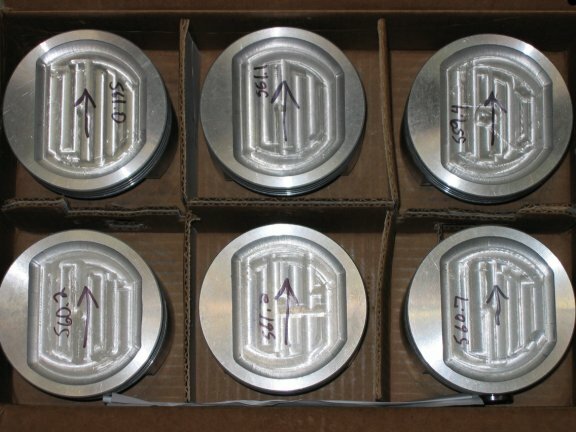 Your choice of any dish size up to 30cc's, and maybe a little more, is available for Silvolite 2229 or Enginetech pistons. Dishes are custom milled one at a time, not CNC machined. Computer controlled machining is fine but you don't have the choice of any size dish! The dishes feature a smooth machined surface with a 3/8 inch radius milled onto the edges of the dish. Pistons are then weight matched to within less than 3 grams of each other. Lots of work to put these out, I am the only source that I know of where you can get this type of unique custom machine work done. Two weeks turnaround is typical. Contact me to make arrangements to send in your pistons. The cost is $130.00 per set of six. Shipping back to you is not included and must be paid in advance. Twenty dollars usually covers shipping and $200 insurance.